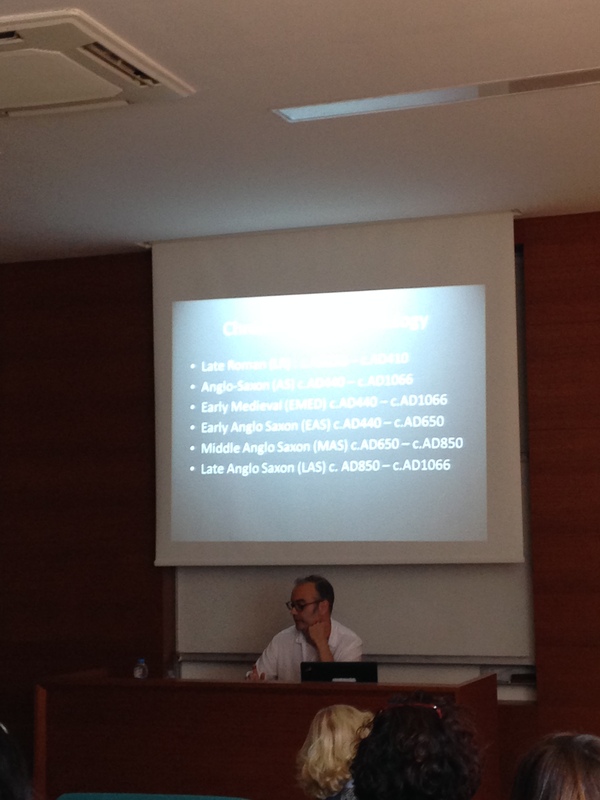 I’ve recently been lucky enough to have enjoyed a trip to Istanbul, along with colleagues from the EngLaId project (http://englaid.com) to present a paper at a session comparing eastern cuisine and western food customs (http://www.pomedor.mom.fr/meetings/content/80) in the middle ages at the annual European Association of Archaeologists conference (https://www.eaa2014istanbul.org/site), courtesy of the Meyerstein Fund at the University of Oxford. The conference itself was an enormous event attracting approximately 3000 archaeologists from all over the world and taking over the buildings of Istanbul Technical University almost entirely. 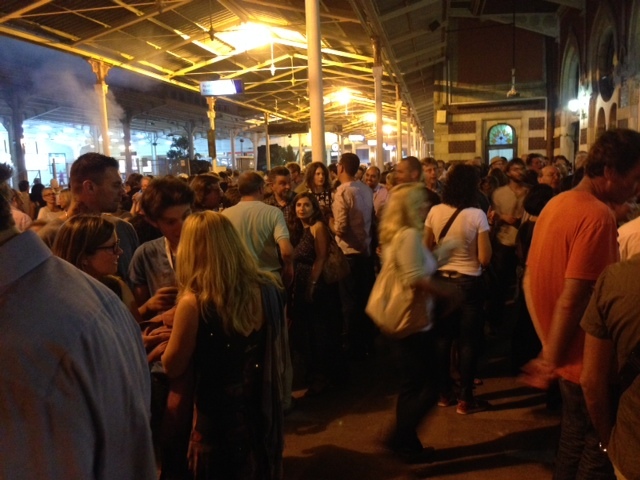 Sessions ranged over every archaeological topic imaginable from the Paleolithic to Heritage Management, and outside of the main business of the conference delegates were treated to a reception in the Istanbul Archaeological Museum and the gardens of Topkapi Palace and a party on a platform at Sirkeci train station. The session at which I spoke was brilliantly organised by Joanita Vroom, Roos van Oosten (both of Leiden University) and Yona Waksman (of Laboratoire Archéométrie et Archéologie at the University of Lyon). The scope of the session was eating habits and food practices in medieval Europe using different approaches, with a particular focus on linking “cooking revolutions” to changing pottery shapes, food customs, dietary practices and house transformations. The session organisers were very reassuring to the relatively inexperienced PhD students like me, and a succession of useful papers discussing evidence for eating and drinking from a variety of medieval contexts including Islamic Iberia and post-reformation nunneries in Modena ensued. A particular highlight of the session for me was Roos van Oosten’s paper on the relationship of the shape of medieval pots from the Low Countries to other aspects of contemporary material culture, such as types of fuel used and the placement of hearths within buildings. My own paper was essentially a version of research which I’ve previously blogged about for Food For Thought under ‘”Big Data” and Food in Roman Britain” and so I won’t go into it in detail here; except to say that I focused on changes in eating and drinking from late Roman to early medieval England in order to make the research relevant to the themes of the session. I also used my paper to showcase a new case study using the site of Yarnton in the Upper Thames Valley. In this case study my argument is that changes in domestic architecture at Yarnton from the late Roman to middle Saxon period may be linked to changes in food; specifically that the adoption of halls in the middle Saxon period may reflect a shift to more communally oriented forms of ceramic and therefore more communal eating habits. Outside of the conference much fun was had by the EngLaId team. We got to know the streets of Istanbul, looked after a cat named Morris, consumed the local street food, including the tremendous fish sandwiches from the boats at Eminonu pier, met up with old friends and attempted (unsuccessfully) to track down the elusive Dr Joy (of Cambridge University) through the bars and back street kebab houses around Taksim Square. This entry was posted in Event and tagged Istanbul, Medieval MasterChef on September 19, 2014 by danstansbie.